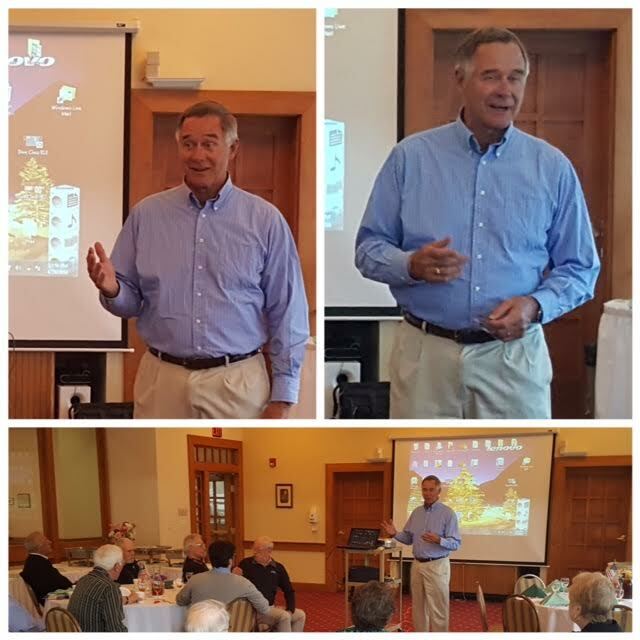 The Salisbury Totary Club heard Don Mayland Tuesday share his extensive knowledge of area Lakes, their great value, their surprises, and current challenges. Our local Lakes face a serious threat from invasive plants such as Milfoil weed (sp?) and the various pests such as hydra, Zebra mussels and snails. Don explained that budget cuts are also a huge challenge since local towns spend over $80,000 per year to maintain the lakes.